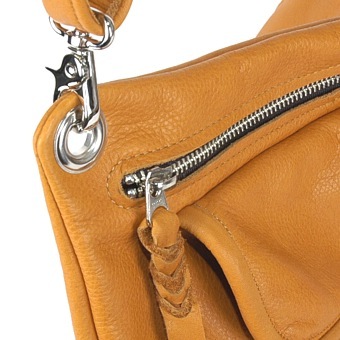 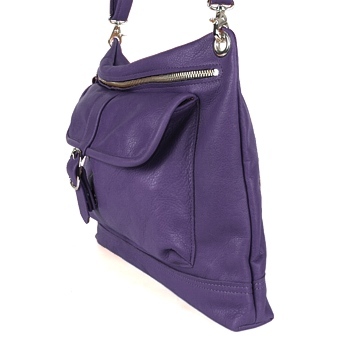 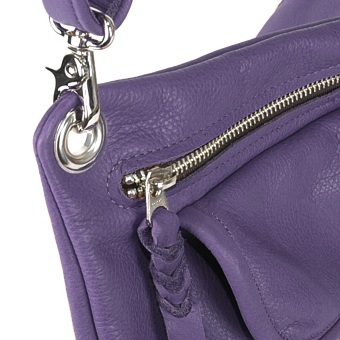 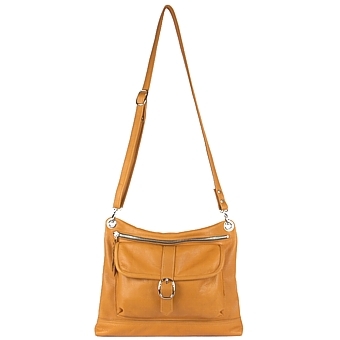 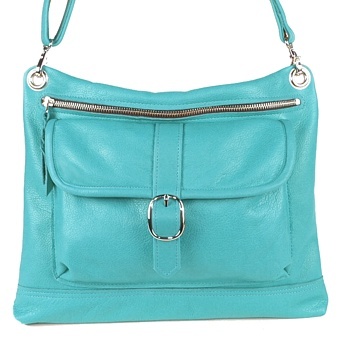 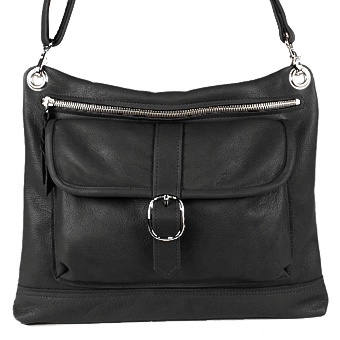 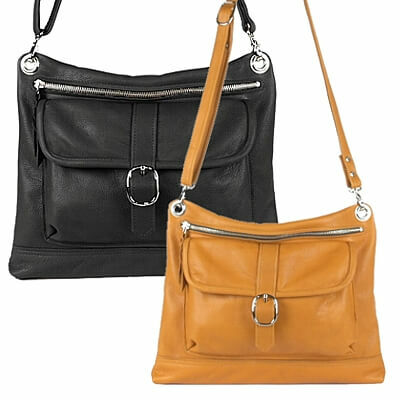 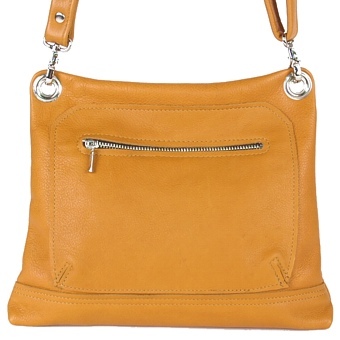 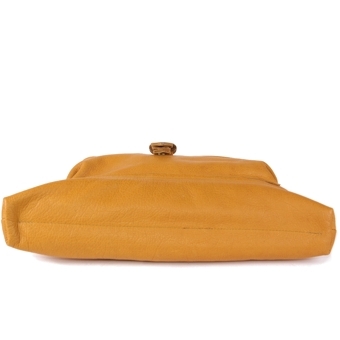 The Large Advance handbag has a sleek profile with the main entry on the front of the bag. 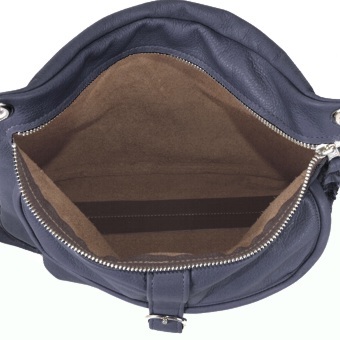 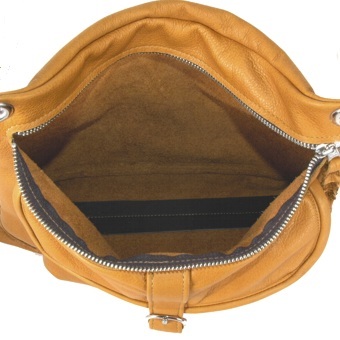 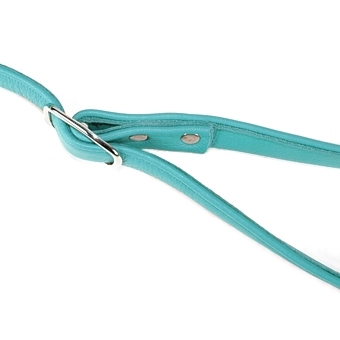 The front 12 1/2" long zipper accesses the roomy main pouch. Featured is a generous 10 1/2" x 6 1/2" front pocket that has a flap with a buckle accented magnetic snap closure. It offers convenient access to your cell phone, sunglasses, and other need at the ready items.